The Edgewater Glen Spring Plant Swap will be held Sat. May 23rd from 10am til noon in the back yard at 1420 W. Glenlake(6100N), weather permitting. Spring is a great time to divide many perennials like hostas, ferns, ornamental grasses or share other plants or gardening paraphernalia. All gardeners are welcome. We have a special request for Common Milkweed seedlings(shown) in order to promote & distribute this native plant that is so beneficial to Monarch Butterflies. It’s the only plant their larvae can feed on. There aren’t too many seedlings showing right now as we’ve had such a cold spring, but look in your most protected hot spots for signs of them. Gently dig them up with as much soil mass around them as you can & place in container for transport & make sure they stay hydrated. Of course-keep some for yourself! Make sure you make plans to attend our EGA spring meeting in the St. Gertrude’s Social Hall at the Southwest corner of Granville and Glenwood. This is your chance to meet our 48th ward alderman, Harry Osterman. You should come prepared to ask questions and express your concerns to him, if you have any. For example, we need to know what the plans are for extending the bicycle lanes on Broadway. Right now, they come to an abrupt halt at Foster. Also, what steps are being taken to enhance pedestrian safety in Edgewater. Other topics will likely be crime prevention and real estate development, commercial and residential in or near our neighborhood. This meeting will also give you an opportunity to renew your membership or join EGA, if you are not already a member. Come early, at 6:30, to enjoy refreshments and visit with neighbors before the meeting starts. EGA is now on Facebook. This is a great page devoted to events, facts, stories, etc. relating to our neighborhood. It is worth checking on a regular basis. Just enter Edgewater Glen Association in the search box on your Facebook page. The URL for our website is edgeglen.com. You should also check out the blog about Edgewater Glen at edgeglendaily.com. We’ve included lots of historical information about EGA, which was formed in 1972, with archives of over 100 past newsletters. We’ve got up-to-date notices on neighborhood events like Plant Swaps, Garage Sale, & the Garden Walk. Even Block Party dates are being posted as a ‘heads up’ notice for difficult parking & access days when multiple events occur. We’d like to encourage you to also sign up for EGA Email, which you can do via the main menu bar on the home page. These emails will not be frequent, but will include more timely information regarding our community. We also want to emphasize that your primary internet source for public safety information will continue to be Alderman Osterman’s excellent website postings and emails. All Edgewater Glen residents should sign up for 48th Ward internet updates via the link we’ve provided in the ‘Neighborhood Links’ section of our website. We’ll be updating the ‘Gallery’ sections with photos of neighborhood events and hope you’ll ‘Contact Us’ with submission ideas. 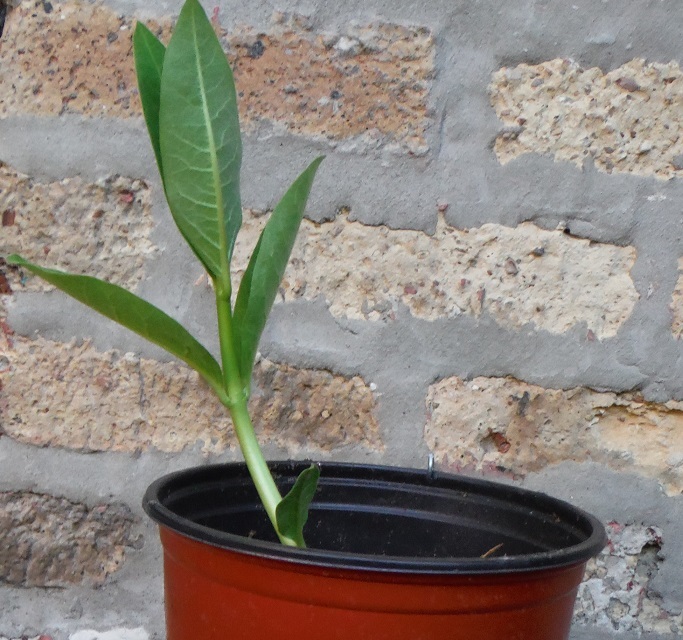 Milkweed Seedlings Wanted for Spring Plant Swap! Sunny Garden Spots Wanted for Milkweed Seedlings! Mark Your Calendar for May 23rd. Weather permitting, the Spring Plant Swap will be held in the back yard of good neighbor Sue Green at 1420 W. Glenlake on Sat. May 23rd from 10am till noon. Even if you don’t have anything to share, please come & meet your gardening neighbors. We usually have leftovers that need a home and this year would like to help our dwindling Monarch Butterfly populations by getting more Common Milkweeds distributed & planted. We’ll also be happy with extra hostas, ferns, or any other 2 plants or gardening paraphernalia that you’ve got extras of. This is one of those special events that help to bring us together as neighbors, not to mention an opportunity to raise a little cash from those unwanted items. Last year was a huge success, with most sellers exceeding expectations. As in the past, other neighborhoods around the Glen will also be participating. It has been going on, one way or another for more than 20 years. Your registration fee covers the cost of all advertising and promotion. We also obtain licenses for all participants. The city of Chicago ordinance requires that all sellers be licensed. Registration information is on the PDF version of this newsletter. Calling all gardeners in the 1200 & 1300 blocks of Edgewater Glen. We urge you to participate in this great community-building event. Please consider opening your outdoor spaces in this always popular event set for July 12 from noon till 5pm. Each year, we feature either the east or west half of the Glen. If you miss entering this year’s walk, the next opportunity to showcase your yard won’t be until 2017, because next year will focus on the 14 and 15 hundred blocks. The entry form is in this newsletter. The walk starts at 1420 W. Glenlake where maps indicating participating gardens will be available. Contribution is only $5 per adult with children free. Refreshments and raffle prize chances will be on hand. There will be special recognition of those gardens that help keep our neighborhood safe by avoiding chemical pesticides, herbicides, insecticides, fungicides, chemical fertilizers, ‘weed & feed’ products, or any product with the word ‘kill’ in its description. These are all harmful to humans, pets, and wildlife and unnecessary based on the lovely yards that thrive without them. Again this year, EGA is encouraging efforts to beautify our parkway corners by offering a limited number of $100 material rebates for neighbors who would like to adopt an orphan corner. These very-visible spaces are an opportunity to beautify our special neighborhood by utilizing the talents of our many wonderful gardeners. However material costs are just a small part of this commitment. The time and labor required for these spaces is not minimal as after the installation is completed, various degrees of weeding, watering, deadheading, clean-up, etc. will need to be attended to in perpetuity. Perhaps a whole block could commit to a space or a consortium of enthusiastic gardening friends could share a space in order to share the maintenance load. Access to water via the closest hose spigot is an important component for keeping these spaces flourishing. Most-accessible hose spigot owners can help to make this maintenance chore more user-friendly for the gardeners.